In the range is the Browvo! conditioning eyebrow primer to encourage fuller looking brows, Gimme brow volumizing eyebrow gel with fibres to boost your brows, 3d brow tones eyebrow enhancer for brow enhancing highlights, Ka-Brow! eyebrow cream gel colour for those of us that like brush colour, precisely, my eyebrow pencil – for ultra fine brow defining and hair stroke brows, Brow zings wax and powder taming kit, same as before but with packaging to match, Ready set brow clear brow gel to tame and 2 highbrow highlighters 1 matte and 1 with an amazing highlight-y shimmer! Im in love!….but my first purchase of the lot goes to Goof Proof Brows – Those of you that watch my youtube channel will know I LOVE the HD brows pro brow pencil and this looks very very similar – without the hassle of sharpening! 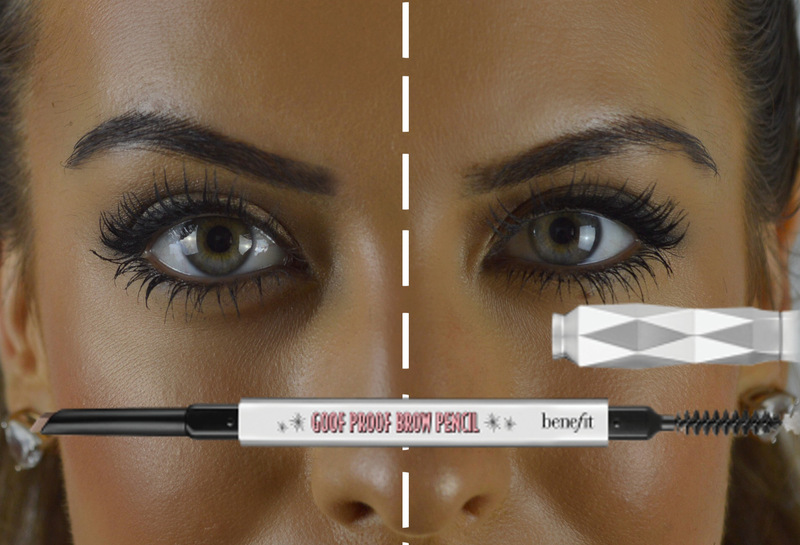 Goof proof brows is the one step brow filling pencil – Because you can use the fine point for filling in brow hairs, use the edge to fill in longer brow strokes and then you can use the flat side to add it shading. What a clever pencil. The staying power is pretty good and the colour ( mine is 06 Deep) is PERFECT for me, a really natural dark brown with ash tones with no grey or red in sight….And the texture – No sludgy soft pencils that look horrendous here, just a nice firm pigmented colour to give jus the right amount of product for a natural look! Below you can see my video, where you can see the product in full and in use!